In Canada, most of us are aware that our natural resources are diminishing. This is a necessary effect of both climate change and human overconsumption. Fish are no exception; in fact, fewer natural food sources have been more politically fraught in Canada than the west coast salmon fishery. Conflicts over salmon fishing have resulted in violent altercations, specifically between Indigenous fishers and their non-Indigenous counterparts, who view the fishery as “racialized.”  At the same time, Indigenous peoples exercising traditional fishing practices continue to have their rights limited by virtue of the Fisheries Act and its associated regulations. Following this, today’s post looks at the traditional and modern state of the Indigenous salmon fishery, and examines the context of disputes that have arisen. Harvesting methods varied by region, but Indigenous fisheries were generally very productive. Douglas Harris estimates that the Babine, a west coast Indigenous group, caught between 500-600 salmon per day, and caught on average 750,000 salmon per year. Despite this, resource depletion was not generally a concern; house group leaders possessed specific knowledge about the local ecology and never instructed fishers to fish beyond what the ecosystem could replenish. Indigenous peoples have continued to fight back and assert jurisdiction over their fisheries. In R v Sparrow,  Ron Sparrow raised an Aboriginal rights defence to a conviction under the Fisheries Act, specifically arguing that the DFO’s net length restriction violated an Aboriginal fishing right protected under section 35(1) of the Constitution Act, 1982. The Supreme Court overturned the conviction, rejecting the “public interest” argument advanced by the DFO. While accepting conservation as a valid objective, the Supreme Court held that Aboriginal fishers should be given priority over non-Aboriginal fishers when fishing for food, social, and ceremonial purposes. The existence of a common law Aboriginal right to fish for commercial purposes has been more fraught than the right to fish for food, as seen in the case of R v Van der Peet. In Van der Peet, the Supreme Court upheld the conviction of a Stó:lō woman under the Fisheries Act for selling salmon under a food-fishing license. The Court asserted that Dorothy Van der Peet had “failed to demonstrate that the exchange of fish for money or other goods was an integral part of the distinctive Stó:lō culture which existed prior to contact and was therefore protected by section 35(1) of the Constitution Act, 1982”. Following Sparrow and Van der Peet, the DFO initiated a pilot sales program through which bands that sign agreements are able to sell a limited number of fish caught under food fishing licenses. Non-Indigenous fishers have continued to protest the DFO’s pilot program, as well as other fishing regulations that enable Indigenous fishers to prioritized fishing access. Essentially, these fishers argue that the “doctrine of priority” advanced in Sparrow has lead to a “race-based fishery”. Generally, these fishers fail to understand both the extent to which the Indigenous fishery was appropriated by the Canadian state and the Supreme Court’s holding in Sparrow. Indigenous fishers are given “priority” not because they are given “special treatment”, but because they have fished on this land for millennia and because traditional fishing practices are intertwined with their governance, law, and social existence. While conservation of scarce resources is an obvious concern, we would do best to defer to Indigenous fishers; indeed, Indigenous peoples have done just fine long before the imposition of the industrial fishery. See e.g. B.C. Elders Communication Center Society (2006), online: <http://bcelders.com/Newsletter/Sept06.pdf>. Indigenous Foundations, “Aboriginal Fisheries in British Columbia”, (2009), online: <https://indigenousfoundations.arts.ubc.ca/aboriginal_fisheries_in_british_columbia/#_edn1>. Martin Weinstein, “Pieces of the Puzzle: Solutions for Community-Based Fisheries Management from Native Canadians, Japanese Cooperatives, and Common Property Researchers” (2000) 12 Georgetown Int Envtl L Rev 375 at 375-412. Douglas Harris, Fish Law and Colonialism: The Legal Capture of Salmon in British Columbia (Toronto: University of Toronto Press, 2001) at 96. Dianne Newell, Tangled Webs of History: Indians and the Law in Canada’s Pacific Coast Fisheries (Toronto: University of Toronto Press, 1994) at 73. Indigenous Foundations, supra note 2. 1 SCR 1075, 1990 CanLII 104 [Sparrow]. 2 SCR 507, 1996 CanLII 216 [Van der Peet]. MP Robert-Falcon Ouellette, retrieved from: <www.theglobeandmail.com/politics/article-commons-to-provide-translation-for-mps-speaking-indigenous-languages/>. It is a momentous occasion to demonstrate to Indigenous Canadians that this chamber is fully representative of each and every one of us in this country, that we are not half citizens, that we are full citizens of this nation. -- Robert-Falcon Ouellette, Liberal MP from Winnipeg Centre. As was reviewed in last Friday’s post about the new Indigenous Languages Act, there is a deep and serious need in Canada for the promotion and revitalization of Indigenous languages. One major step has been taken recently by introducing, for the first time, spoken Indigenous languages with simultaneous translation in the House of Commons. In 2017, Liberal Member of Parliament, Robert-Falcon Ouellette, from the riding of Winnipeg Centre, gave a speech on the House of Commons floor. He was speaking in Cree, so many other MPs could not understand what he was saying. To this point, the rules in the House of Commons only provided simultaneous translation for English and French speakers. Mr. Ouellette had requested translation for his speech but none was provided. Now, the Members of Parliament have accepted a report which mandates the provision of simultaneous translation for over 60 Indigenous languages. To read the report online, you can check out this link. For those who are concerned about the restoration of Indigenous languages, this rule change can be counted as a win. The symbolic statement of Indigenous languages being translated just as the colonial languages of English and French is clear. According to one expert, the many Indigenous languages in Canada likely should have been wiped out multiple times -- first, through the horrors of colonization, and second, through the trauma of residential schools. Ryan DeCaire, an assistant professor of Indigenous languages at the University of Toronto, notes that, “it’s amazing that our people even still speak the language. [Our grandparents] had to go underground and hide the language to the point where people didn’t know they were speaking it.” He then learned to speak Mohawk as an adult. The rule change allows Indigenous Members of Parliament to speak the languages which may represent a large part of their life and community. Marc Miller, a non-Indigenous MP, has endeavoured to learn Mohawk, and presented a short speech in the House of Commons in the language in June 2017. As of February 26, 2018, there has now been simultaneous translation provided for Plains Cree, Dene, Eastern Cree, and Mohawk. Last week, MP Romeo Saganash required the services of a simultaneous translator during the debate of the newly-drafted Indigenous Languages Act (as discussed in Friday’s blog post). Priscilla Bosum acted as his translator in what was one of the very first simultaneous translations to happen in Parliament. "Commons to Provide Translation for MPs Speaking Indigenous Languages", The Globe and Mail (30 November 2018), online: <www.theglobeandmail.com/politics/article-commons-to-provide-translation-for-mps-speaking-indigenous-languages/>. "Sound of native languages in Parliament to mark win for Indigenous Canadians", The Guardian (27 January 2019), online: <www.theguardian.com/world/2019/jan/27/canada-native-languages-parliament-indigenous>. "Cree translator in House of Commons 'proud' to be part of history", CBC News (13 February 2019), online: <www.cbc.ca/news/canada/north/translator-house-of-commons-1.5016715>. The Guardian, supra note 3. As ReconciliAction YEG looks at Indigenous traditions, it is important to recognize that Indigenous cultures are not just isolated and traditional, but are also innovative, culturally aware, and forward-thinking. Just like the Supreme Court of Canada has recognized that Indigenous rights evolve and are not “frozen in time”, so it is important to understand that Indigenous cultures also evolve. Today, we look at one of the most vibrant examples of this evolution: the growing presence of Indigenous content creators on social media. Below is an incomplete list of online Indigenous content creators whom ReconciliAction YEG invites its readers to follow. First up is Walking Eagle News, an online Indigenous satirical news site written by its “Editor-in-Grand-Chief”, Tim Fontaine. Fontaine, a member of the Sagkeeng First Nation in Manitoba, “was a real journalist for almost two decades”, working for CBC Indigenous, APTN National News, Canadian Public Affairs Channel (CPAC), and iChannel before becoming a “pretend journalist”. Walking Eagle News provides a fresh, Indigenous take on the well-loved satirical news tradition. Next are a growing number of Indigenous meme creators, including but not limited to: @arnell.tf (whose work is featured above), @decolonial.meme.queens (as well as its backup account, @decolonial.meme.cuzzins), @dadfights, and @skodenne. A lot of the content in these accounts expresses frustration with mainstream political discussions of truth and reconciliation, settler colonialism, and provides humorous perspectives on modern life as an Indigenous person. The content is edgy, honest, insightful, confrontational, and openly expresses frustration with the illegitimacy of Canada’s colonial settler state in a way that is not often heard or seen in mainstream Canadian culture. Lastly is the growing discussion on #NativeTwitter, which is a hashtag that many Indigenous tweeters use to discuss topics of concern to Indigenous folks. There are countless accounts that contribute to #NativeTwitter, but some of the most prominent accounts include: @RuthHHopkins, @apihtawikosisan, @christibelcourt, @jessewente, @RussDiabo, @Terrilltf, @EricaVioletLee, @WordsandGuitar, @rjjago, and @LenardMonkman1. Many of the accounts contributing to #NativeTwitter are lawyers, journalists, academics, policy analysts, and artists. If you are interested in getting substantive Indigenous perspectives on current events or the lighter-hearted cultural moments that go viral online, be sure to follow the many voices of #NativeTwitter. If you are interested in hearing more from modern, grass roots Indigenous perspectives online, ReconciliAction YEG recommends following the online content creators and contributors mentioned above. Canada’s new Indigenous Languages Act - Symbolic Gesture or Compelling Force? On February 5, 2019, federal Parliament tabled Bill C-91, An Act respecting Indigenous languages. The Bill, which recognizes Indigenous language rights as being protected under section 35(1) of the Constitution Act, 1982,  follows over a year of consultation jointly headed by Canadian Heritage, the Assembly of First Nations (“AFN”), the Inuit Tapiriit Kanatami (“ITK”), and the Métis Nation Council (“MNC”). Despite committing the federal government to the protection and revitalization of Indigenous languages, many advocates have argued that Bill C-91 does not go far enough. Following this, today’s post will explain the rationale for the Bill, and will assess its utility in terms of protecting and promoting Indigenous languages. Given the complexity and scope of Indigenous languages, it is unfortunate that the Bill does not offer a more robust and clear funding mechanism. Certainly, the revitalization of Indigenous languages will be a costly initiative; however, preserving language is necessary to promote and revitalize cultural identity. This is ReconciliAction. 1st Sess, 42nd Parl, 2019 (first reading 5 January 2019). Canadian Heritage, “Creating First Nations, Inuit and Métis Languages Legislation: 2018 Discussion Guide”, (Gatineau: DCH, 2018), online: <http://www.fpcc.ca/files/PDF/Language/Legislation/2018DiscussionGuide-Creating_First_Nations_Inuit_and_Métis_Language_Legislation_ENG.pdf>, citing Canada, Royal Commission on Aboriginal Peoples, Report of the Royal Commission on Aboriginal Peoples (Ottawa: Supply and Services Canada, 1996). Martha Troian, “Trudeau government preparing for long-awaited Indigenous Languages Act”, APTN National News (10 May 2018), online: <https://aptnnews.ca/2018/05/10/trudeau-government-preparing-for-long-awaited-indigenous-languages-act/>. Terri Coles, “Indigenous Languages Are In Danger of Becoming Extinct — Here’s How You Can Help Save Them” Huffington Post (21 June 2018), online: <https://www.huffingtonpost.ca/2018/06/21/indigenous-languages_a_23465069/>. Canadian Heritage, supra note 3 at 6. 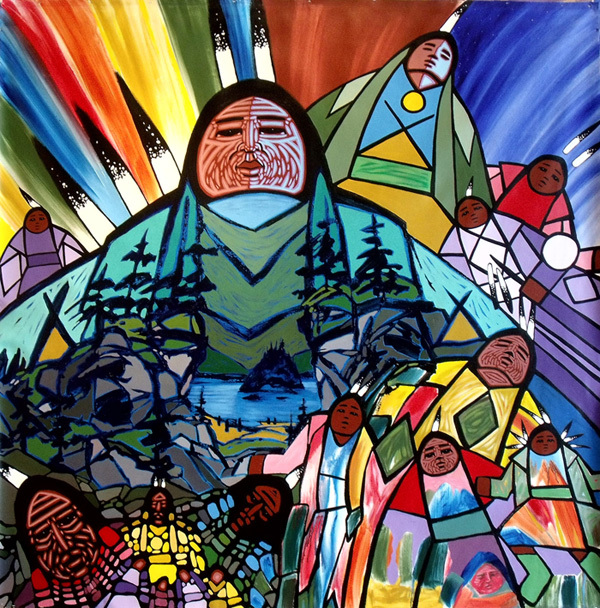 Truth and Reconciliation Commission of Canada, Truth and Reconciliation Commission of Canada: Calls to Action (Winnipeg, 2015), online: https://nctr.ca/assets/reports/Calls_to_Action_English2.pdf. See in particular Calls to Action 13-15, which concern language rights. GA Res61/295, UNGAOR, 61st Sess, Supp No 49, (2007), online: <https://www.un.org/esa/socdev/unpfii/documents/DRIPS_en.pdf>. “Language Advocates have funding questions about new Indigenous Languages Act” CBC News (5 February 2019), online: <https://www.cbc.ca/news/indigenous/indigenous-languages-act-funding-questions-1.5006923>. John Paul Tasker, “Ottawa tables legislation to protect and promote Indigenous languages, Inuit call it ‘colonial’” CBC News (05 February 2019), online: <https://www.cbc.ca/news/politics/ottawa-indigenous-languages-legislation-1.5006504>. CBC News, supra note 9. The University of Alberta Faculty of Law building. Image retrieved from: <twitter.com/UAlbertaLaw>. Today’s post continues to explore my reflections on Indigenous law and how the Canadian law school experience intersects with practices such as the Sweat Lodge. See Part 1 here. As a non-Indigenous person, it is quite easy for me to think, “I shouldn’t engage with Indigenous law, I’ll leave that to Indigenous people. Plus, if I get it wrong, I’ll be another white settler who has mischaracterized Indigenous peoples’ beliefs and traditions.” However, Professor Hadley Friedland cautions that “[d]oing nothing, or even passively [engaging with Indigenous law], may inadvertently reinforce colonial myths of fragility, incommensurability or the absence of Indigenous legal thought.” It is arrogant to believe that I can break a story or law simply by engaging with it. These legal resources have lasted millennia, surviving the worst horrors of colonialism and, in many cases, are still thriving today (such as Elder Fred’s Sweat Lodge). Moreover, the idea that Indigenous law is simply too different from the Canadian legal framework denies the commonalities between the two systems, e.g., upholding universal values like human freedom. Worse still, we cannot perpetuate the stereotype that Indigenous law is not legitimate law. In sum, by not engaging with Indigenous law as law students or legal practitioners, we run the risk of keeping Indigenous law inaccessible; this inaccessibility, in turn, “perpetuates the colonial process of undermining and obscuring Indigenous legal traditions.” If we aim to be anti-colonial, then it necessarily requires us to engage with Indigenous law. For settlers and newcomers, part of achieving true reconciliation is to “recognize that to stay must also be to learn.” Although not without its challenges, we have a duty to recognize and study the original laws of this land. The following post was originally written as part of a final paper for Indigenous Laws: Questions and Methods for Engagement taught by Professor Hadley Friedland at the University of Alberta Faculty of Law. John Borrows, “Heroes, Tricksters, Monsters, and Caretakers: Indigenous Law and Legal Education” (2016) 61:4 McGill LJ 795 at 804. Val Napoleon & Hadley Friedland, “An Inside Job: Engaging With Indigenous Legal Traditions Through Stories” (2016) 61:4 McGill LJ 725. Matthew LM Fletcher, “Rethinking Customary Law in Tribal Court Jurisprudence” (2007) 13:57 Mich J Race & L 57 at 96. Borrows, supra note 3 at 806. Hadley Friedland, “Chapter 5: Creating a Cree Justice Process using Cree Legal Principles” in Reclaiming the Language of Law: The Contemporary Articulation and Application of Cree Legal Principles in Canada (PhD Thesis, University of Alberta, 2016) at 4. Jeremy Webber, “The Grammar of Customary Law” (2009) 54 McGill LJ 579 at 610. Hadley Friedland, “Chapter 4: Wah-ko-to-win: Laws for a Society of Relationships” in Reclaiming the Language of Law: The Contemporary Articulation and Application of Cree Legal Principles in Canada (PhD Thesis, University of Alberta, 2016) at 10. Napoleon, supra note 4 at 741. Honourable Chief Justice Lance SG Finch, “The Duty to Learn: Taking Account of Indigenous Legal Orders in Practice” (2012) CLE BC Materials at 2.1.10. First Nations Sweat Lodge. Image retrieved from: <marniej.wordpress.com/sweat-lodges/>. My name is Scott Richardson; I am a non-Indigenous law student and writer for the Reconcili-Action blog. In today’s post, I reflect on my experiences participating in a Sweat Lodge ceremony in my second year of law school. In November 2017, I had the privilege of attending a very powerful law lecture at the Alexander First Nation Reserve. The instructor greeted myself and other students before the class began. He introduced himself as “Fred, like Fred Flintstone.” He had been teaching for decades and seen countless students. Soon, Cree and non-Cree students crammed into the classroom. I can honestly say that I have never attended a lecture so physically hot in my entire life. The classroom itself was a small lodge surrounding a pit of heated stones (or “Grandfathers”). The entrance to the lodge was closed and, in complete darkness, Fred tossed water and medicines atop the rocks. Steam quickly filled the enclosure and we were all soon covered in beads of sweat. This law lecture is more commonly known as a Sweat. I should note that the Sweat Lodge represents much more than a classroom; it is a place of healing, spiritual growth, and cultural expression. The ceremony itself consisted of storytelling, singing, drumming, praying, smoking, and eating; much of it was conducted in Cree. Elder Fred channelled animal spirits, acting as a conduit for the spirit of the Bear. Participants had to prepare for the Sweat by abstaining from recreational drugs and alcohol, staying hydrated throughout the preceding week, and bringing gifts of food and cloth. There were often moments of levity; Elder Fred has a great sense of humour. He also explained how his ancestors went underground to preserve their spiritual practices. The fact that such practices are continued today is evidence of the resiliency of Indigenous peoples. See yesterday’s post to read about the criminalization of the Sweat Lodge. Elder Fred spoke about his understanding of natural law in the Cree legal tradition. Professor John Borrows describes natural law as law that “flow[s] from the consequences of creation or the ‘natural’ world or environment.” Indeed, Elder Fred’s lesson focused on how humanity has legal obligations to respect the Earth; when these obligations are not observed or fulfilled, humanity suffers as a result (specifically, Elder Fred spoke of the effects of climate change). He focused on the land and used it as a tool for explaining his legal beliefs. Elder Fred told us that the lessons we learned from the Sweat Lodge could be shared with others. He asked only that any dissemination of this knowledge be done with the utmost respect. He recognizes the harms of cultural appropriation but believes that, so long as we give credit where credit is due, his teachings are for everyone. The Sweat Lodge contrasts drastically with my experiences at law school. Although I have learned law in both settings, the legal lessons taught in the Sweat Lodge do not, on the face of it, seem amenable to being taught in McLennan Ross Hall, a lecture hall in the University of Alberta’s Faculty of Law building. This raises a number of important questions about Indigenous law generally: are institutions like the Sweat Lodge the only appropriate place to teach Indigenous laws? Must Indigenous legal learning necessarily involve spiritual and ceremonial practices? Can someone who is not fluent in Cree teach Cree law? There are substantial criticisms against having Indigenous law taught in Western educational institutions. In tomorrow’s post, I will canvass a number of them and ultimately respond that Indigenous laws can and should be part and parcel of the Canadian law school educational experience. I am imitating the style of prose used in John Borrows, “Outsider Education: Indigenous Law and Land-Based Learning” (2016) 33:1 Windsor YB Access Just 1 at 2. John Borrows, Canada’s Indigenous Constitution (Toronto: University of Toronto Press, 2010) at 28. For another example of land-based learning see: Sarah Morales, “Stl’ul nup: Legal Landscapes of the Hul’qumi’num Mustimuhw” (2016) 33 Windsor YB Access Just 103 at 107. If you Google the term ‘sweat lodge’, you will find given this dictionary definition: “a hut, typically dome-shaped, used by North American [Indigenous peoples] for ritual steam baths as a means of purification.”  However, this dictionary definition does not convey any of the meaning that individuals can ascribe to sweat lodges and their experiences there, nor the historical significance of the practice to Indigenous peoples. This definition also has no mention of the historic criminalization in Canada of the practice. What does the practice of the sweat lodge mean? The sweat lodge is a traditional way of healing and cleansing the body and spirit for many Indigenous peoples across Canada. It has been described as one of the most “immediate and powerful [Indigenous ceremonies] in restoring a balance of spiritual, emotional, mental and physical well-being.” Last year, one of our authors attended a sweat lodge for the first time, and you will read about his experience on the blog later this week. It is incredibly significant to reflect upon the fact that sweat lodge ceremonies were banned by the Indian Act until 1951. To emphasize how oppressive this law was, consider the following : not only were these cleansing spiritual ceremonies illegal for Indigenous individuals to participate in, but also many other spiritual ceremonies, such as the potlach and sun dances, were also banned. They were only returned to Indigenous people when a swathe of amendments to the Indian Act were approved in 1951. The sweat lodge, after its return from outright banishment, can now be considered a symbol of resilience and resurgence. Do the sweat lodges actually heal? To answer this question, Teresa Naseba Marsh, a PhD candidate at the Northern Ontario School of Medicine, endeavoured to find out. She completed research on the sweat lodge, which ultimately suggests that these ceremonies do, in fact, add to the healing process -- specifically via reduction of symptoms of intergenerational trauma and substance use disorders. You can check out a CBC interview about her research, here. “Sweat Lodge”, Google, online: <www.google.ca/search?q=Dictionary#dobs=sweat%20lodge>. Teresa Naseba Marsh et al., “The Sweat Lodge Ceremony: A Healing Intervention for Intergenerational Trauma and Substance Use”, Intl Indigenous Policy Journal 9:2, online: <ir.lib.uwo.ca/iipj/vol9/iss2/2/>. “Indigenous Foundations”, University of British Columbia, online: <indigenousfoundations.arts.ubc.ca/the_indian_act/#amendments>. “Thompson Rivers University provides $20k to build sweat lodge”, CBC News (1 March 2016), online: <www.cbc.ca/news/canada/british-columbia/sweat-lodge-thompson-rivers-1.3471801>. “Toronto hospital opens sweat lodge for Aboriginal patients”, CTV News, online: <www.ctvnews.ca/health/toronto-hospital-opens-sweat-lodge-for-aboriginal-patients-1.2959836>. Prince Albert Grand Council Healing Lodge, online: <www.pagc.sk.ca/spiritual-healing-lodge/>. What Should Local Indigenous Self-Governance Be Like? Today, ReconciliAction YEG will examine an article that provides a helpful perspective on Indigenous self-government. While the article explores the concept specifically in the context of restorative justice in Alexis First Nation near Edmonton, our analysis will focus primarily on the principles that the article extracts from said context. The article, "Where is the Law in Restorative Justice? ", encourages the reader to "shift from understanding restorative justice as a 'program' to considering it an expression of local law, and therefore a critical aspect of on-the-ground self-government." The article first discusses the legal framework for understanding local legal systems and then applies that framework to restorative justice in Alexis First Nation. The principles that both the framework and its application uncover are important for understanding what true Indigenous self-governance should look like. The article states that a "legal framework can be understood as a way of talking, thinking about, and working with laws and legal orders…" The authors say that if such a framework is formed "in part, by asking critical and unsentimental questions about the sources and functions of law, the legitimacy and authority of law, the ways in which laws change, and the internal power imbalances and oppression within legal orders", then "[t]his legal framework advances an understanding of law as whole and separate from the dominant understanding of formal, centralized law created and perpetuated by the common and civil law in Canada." Instead of basing local law on formal, centralized Canadian law, the article suggests that true legitimate and authoritative Indigenous self-governance should be predicated primarily on "citizenry" and "collective social capital." "Where is the Law in Restorative Justice?" outlines important principles for ensuring that Indigenous law and legal systems are not distorted and subjugated to Canadian law, but rather are implemented as part of a symmetrical relationship between Canadian and Indigenous legal systems. Val Napoleon, Angela Cameron, Colette Arcand and Dahti Scott, “Where is the Law in Restorative Justice?” in Yale Belanger, ed., Aboriginal Self Government in Canada: Current Trends and Issues, 3rd edition (Saskatoon, Purich Publishing Press, 2008), at 2. Ibid, at 22 [emphasis added]. In keeping with our discussion of Cree legal principles and the Accessing Justice and Reconciliation (“AJR”) project, today’s post canvasses the legal principles that “govern appropriate responses to legal and human issues”. The AJR recognizes five legal principles: (1) the principle of healing, (2) the principle of avoidance or separation, (3) the principle of acknowledging responsibility as remedy, (4) the principle of reintegration, (5) the principle of natural or spiritual consequences, and (6) the principle of incapacitation. Each principle is discussed below. This principle is based on two related laws: firstly, a wrongdoer is able to remedy harms caused by taking responsibility for his or her actions and asking forgiveness directly of the person harmed; and secondly, a wrongdoer, or their family, can remedy harms by paying restitution or compensation to the person or family harmed. One Elder explains that “the remedy for almost all harms is for the offender to sincerely apologize and seek forgiveness from the person he or she hurt. If the offender will not accept responsibility directly for his or her actions, the person could confront the offender directly”. The Elder believed that this could then lead the offender to apologize and seek forgiveness. This final legal principle is explained in the AJR: “[i]n older stories, or historically, in cases of extreme and ongoing harm, where no other response could keep the group safe and prevent future harms, a harmful agent would sometimes [have to be] incapacitated (executed) as a last resort”. Importantly, execution is only undertaken when all other avenues have been exhausted, including efforts at healing, or avoidance and separation. These 6 principles raise interesting challenges and opportunities for their implementation. In particular, the emphasis on healing as opposed to taking punitive measures seems to clash with Canada’s justice system, which is designed to punish offenders. In addition, reintegration of community wrongdoers may be difficult when communities lack the necessary resources and supports to monitor and help individuals. Nonetheless, these challenges should not deter us from using these principles to guide the contemporary implementation of Cree legal principles. Most importantly, however, implementation should be driven by community members themselves. In this way, community members can revitalize and design laws that are most impactful for their communities. Hadley Friedland et al, “Accessing Justice and Reconciliation: Cree Legal Traditions Report” (2014) at 28, online (pdf): Québec Government <www.cerp.gouv.qc.ca/fileadmin/Fichiers_clients/Documents_deposes_a_la_Commission/P-267.pdf>. “Being Together” by Jerry Whitehead. Image retrieved from:<http://www.jerrywhitehead.com/art-for-sale.php>. As we continue to introduce our readers to the legal principles outlined in the Accessing Justice and Reconciliation Cree Legal Traditions Report (“Report”), today’s post will look at Nehiyaw (Cree) legal processes. The Report breaks down legal processes into two parts: 1) authoritative decision-makers, and 2) procedural steps. In the story of Mistacayawis, a man recognizes suspicious behaviour when a woman goes out hunting two days in a row, first with her brother-in-law, then with her husband, but returns without them. Although she explains that both got lost, the man investigates and discovers that the woman is a wetiko* and has killed both of the men. In The Hairy Heart People, an old man who is gifted with medicine has a vision of dangerous people being nearby. In the Report, an Elder further comments that historically, medicine people could sense when there were enemies in the area. Again, in The Hairy Heart People, the old man warns members of his camp of the dangerous people nearby. Once the community is safe, and he has lead the Hairy Heart People away, he sends others to warn nearby communities of the potential harm, encouraging them to stay together in large groups for safety. Community members with roles in leadership or conflict-resolution are often sought for their guidance. Elders are oftentimes asked for guidance, like in the story of Anway, where a community became endangered by cannibals. The Elders helped by communicating with Anyway, a wetiko hunter, within a shaking tent. Anway then agreed to help the community. In Mistacayawis (noted above), when the man becomes suspicious of the woman, he follows her to observe and confirm his suspicions of her being a wetiko. In doing so, he is able to confirm that she has killed and eaten both men. In the story of Indian Laws, a man names E-pay-as is confronted following a reckless raid on a nearby community. When E-pay-as refuses to pay compensation for the harm caused to those in the community, the Dancers and Providers (respected groups) confront him about his actions. This is an exception to the response of public confrontation, seen in the story of the Thunderwoman, where a man shoots an arrow at his older brother’s wife. The wife leaves, and her husband confronts his brother over his actions, before leaving to resolve the issue himself. The final step includes identifying “the decision-maker most capable, or best positioned, to respond to the harm or risk of harm, or resolve the conflict in the particular circumstances.” For example, in the story of The Water Serpent, a community seeks help from a dangerous water serpent. The medicine people and wise ones conclude that the problem is beyond their power, and thus ask the ‘wisest one’ to ask the thunderbirds for help in a shaking tent. As we wrap up today’s post on Cree legal processes, the team wants to remind our readers that the research conducted in creating the Report only “scratch[es] the surface of such a rich, complex, living legal tradition.” Furthemore, this week's coverage only serves as an introduction to the Nehiyaw legal principles outlined in the Report, and we encourage our readers to read through the report here. Check out tomorrow’s post as we introduce the final section of the Report’s summary – legal responses and resolutions. *A wetiko is a Cree term, meaning a cannibalistic spirit that is driven by greed, excess, and selfish consumption. Hadley Friedland et al, “Accessing Justice and Reconciliation: Cree Legal Traditions Report” (2014), online (pdf): Québec Government <www.cerp.gouv.qc.ca/fileadmin/Fichiers_clients/Documents_deposes_a_la_Commission/P-267.pdf>. Alnoor Ladha and Martik Kirk, “Seeing Wetiko: On Capitalism, Mind Viruses, and Antidotes for a World in Transition” (2016), online: Kosmos Journal <https://www.kosmosjournal.org/article/seeing-wetiko-on-capitalism-mind-viruses-and-antidotes-for-a-world-in-transition/>. The long-tailed weasel. Image retrieved from: <aep.alberta.ca/fish-wildlife/wild-species/mammals/weasels-related/small-weasels.aspx>. Today’s post continues to discuss the legal principles articulated in the Accessing Justice and Reconciliation Cree Legal Traditions Report (“Report”). The section of the Report focused on in this post explores the legal principles that govern both individual as well as collective responsibilities. In other words, this part of the Report seeks to answer: what should we do, according to Nehiyaw law? This principle appears regularly in many Cree stories. Characters in these tales must offer aid when asked to do so. In the story of Indian Laws, a man’s wife and child are killed in a Blackfoot raid. When the man is refused adequate compensation for their deaths, he seeks the guidance of the Dancers and Providers, who are known for their wisdom. When he asks for help, they step in to resolve the dispute. In serious situations, when medicine people are called upon to help, they are under an obligation to do so and cannot refuse. Once gifts are accepted in return for help, individuals are obligated to engage in assistance. Failure to deliver on these legitimate expectations can result in a loss of integrity for the individual who promised to help; this also insults the person who asked for help to begin with. The obligation to help applies to those outside one’s own community. Frequently, those that have the ability to help must do so even when not explicitly asked. When an individual has knowledge that others need help, they automatically have a responsibility to respond. One elder notes that this compulsion to provide assistance is born out of compassion rather than strict obligation. There is a general principle that community members have a duty to avert future harms from occurring. In severe cases, that responsibility may require drastic measures; for example, in older stories, if those perpetrating harms became too threatening they would be incapacitated (i.e., executed) as a last resort. In the story The Water Serpent, Thunderbirds remove a dangerous water serpent in order to protect their community; this removal serves to prevent community members from being harmed in the future as well as the present. However, the prevention of future harms can also be accomplished through dispute resolution (as opposed to fighting), sending warnings, or offering lessons. The responsibility to warn is clearly demonstrated in the Hairy Heart People story. One of the characters, a man who can see visions in his dreams, is warned that the Hairy Heart people (i.e., cannibals) are encroaching on his camp. In response, he tells others of his dream and helps everyone hide. His initial warning soon spreads to other camps and saves many lives. One elder emphasized that these warnings are efficient and function to keep community members safe. Ultimately, the Report aims to “treat Indigenous laws seriously as law.” We hope that our readers understand that the complex and robust legal principles pulled from these stories and elders’ testimony are part of the legal fabric of Canada. Emily Snyder, Lindsay Borrows & Val Napoleon, “Mikomosis and the Wetiko: A Teaching Guide for Youth, Community, and Post-Secondary Educators” (2013) at 11, online (pdf): Indigenous Bar Association <www.indigenousbar.ca/indigenouslaw/wp-content/uploads/2013/04/Mikomosis-and-the-Wetiko-Teaching-Guide-Web.pdf>. Friedland, supra note 1 at 40. John Borrows, Canada’s Indigenous Constitution (Toronto: University of Toronto Press, 2010) at 85. Friedland, supra note 1 at 43. In every legal system, there is an understanding of which rights an individual is granted to make that system of laws function, and to ensure a sense of fairness for both the individual and the community. In the Nehiyaw laws reviewed in the The Accessing Justice and Reconciliation Project’s [AJR Project’s] “Cree Legal Traditions Report” there is evidence of both substantive and procedural rights granted to individuals as part of that legal system. These concepts answer the question of what individuals, as members of this community and legal system, can expect from others in their community. The Right to Have Warning Signals Corroborated by Observation or Evidence Before Action is Taken: In all Nehiyaw stories, when there is a fear that someone may be on the path towards becoming harmful, or has already committed harms, the individual in question must always have this fear corroborated by observation and evidence. No action is taken by anyone towards the person in question until there is clear evidence that they are in fact, becoming harmful or have actually committed previous harms. For example, in The Hairy Heart People, a wife observes her husband and warns her brothers that he may be becoming dangerous. The brothers also observe the man while hunting. There are no actions taken regarding their suspicions until each individual had confirmed through observation that their suspicions about him becoming harmful were correct. The Right to Be Heard: Anyone who has caused, observed, or experienced harm has the opportunity to be heard before a response is made or resolution is found. Additionally, people who have caused harm, have acknowledged such wrongdoing, and are genuinely seeking resolution are given the opportunity to be heard. For example, in The Thunderwomen, an older brother strongly suspects that his younger brother had harmed his wife. He offers the younger brother an opportunity to tell his side of the story, but he lies. Once his brother leaves, he weeps constantly. In The Water Serpent, there is an example of involving the entire group in both deliberating and consulting with elders and wise ones. These elders and wise ones had the necessary knowledge to address the situation, and talked it over amongst themselves as well. By completing this process, the group worked together to reach a decision.